The Seattle Sounders finally won, beating the Colorado Rapids last night and will take on the Portland Timbers Saturday in the next round of the MLS playoffs. 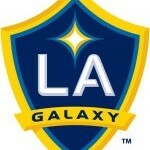 The winner of the Galaxy-RSL series takes on the victor of that two game contest. Mexico finally won in San Diego Wednesday night before an unusually small crowd that illustrates the depth of the skepticism over the quality of this Mexican team, while the U.S. women drew New Zealand. Chivas USA plays its final game of 2013 in Tuscon. Tickets to the Nov. 15 friendly against minor league opposition go on sale at noon today. Torrance midfielder Anika Rodriguez and her U-17 U.S. teammates open play in the world championship against Trinidad & Tobago in Jamaica. Fox is offering free streaming of the game that kicks off at 4 p.m. today on its FoxSoccerGo app. MLS has unveiled the complete playoff schedule. Former Galaxy coach Sigi Schmid and the Sounders ownership group are downplaying the pressure their coach is under as Seattle meets the Colorado Rapids tonight. David Beckham is inching closer to an MLS franchise in Miami. Surprise, surprise Real Salt Lake is focusing on stopping Landon Donovan and Robbie Keane Sunday in Carson. Once the smoke had cleared from a torrid weekend of action this is how the MLS playoff landscape looks today. I’ll have more in Tuesday’s column in the wake of the Galaxy’s goal that never was Sunday in Seattle. A packed house despite difficult weather conditions will greet the Galaxy tonight in a finely poised nationally televised season finale with massive playoff implications and plenty of talking points between two familiar foes. With the Colorado Rapids lurking this is no time for a misstep and if all that isn’t enough it’s a perfect stage for Landon Donovan to make MLS history despite battling end of season knocks. Chivas USA, meanwhile, ended their season humbled and humiliated at home to a dazzling Portland Timbers team clearly enjoying their brand of football and perhaps ominously for their rivals still building and maturing. A Portland team that could still win the MLS regular season crown meets one of the league’s chronic losers tonight in Carson, with Chivas USA needing a win merely to equal last year’s pathetic total of seven wins that itself represented the franchise’s worst performance since their opening season in 2005. It’s an alleged “new era” that sadly looks a lot like the old one for a club that shows no signs of shaking off an ingrained malaise that should have the league office reacting in alarm as promised back in July, but instead leaves one wondering whether MLS Commish Don Garber is getting in some practice of genuflecting to wealthy, clueless team owners before fleeing for the NFL as conjectured. In fairness, the club hinted at better times briefly late in the season, on the field at least. But with Chivas USA likely to start all over again in the offseason if the current coach leaves as expected, a roster largely bereft of MLS quality players and a management and ownership team that inspires confidence in virtually no one, it’s hard to see any end to one of the most slowly unfolding and humiliating marketing disasters in professional sports. 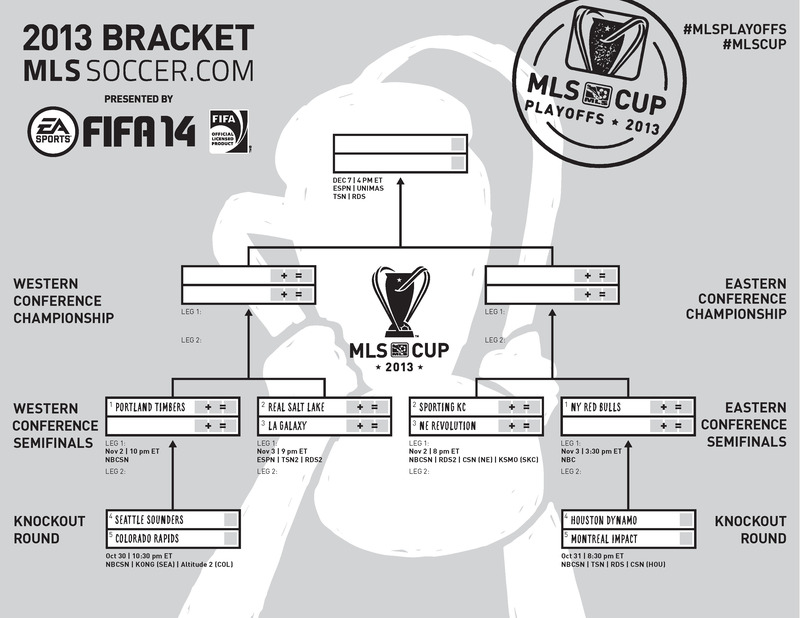 The Timbers, in contrast, are everything Chivas USA is not, but should be. A savvy owner, deliriously loyal fan base, quick to adapt to MLS wily coach, exciting players capable of incisive, cunning football, and superb venue have combined to make one of the league’s greatest success stories with the potential for much more to come. Meanwhile, the Galaxy arguably have much more at stake in this game than their local rivals, who after this game will slink off into the wilderness of the MLS winter as much adrift as ever. U.S. international Herculez Gomez sounds ready for the match-up. Are you? @LAGalaxy's Bruce Arena, asked if his team underestimated Isidro Metapan: "I did not … and if our team did, it certainly showed." Chivas USA’s 2-1 defeat to Real Salt Lake Wednesday night that denied the Galaxy a chance to finish first in the Western Conference has put LA in the odd spot of cheering for their regional rivals for the second consecutive game this coming weekend as the MLS season concludes. A win or a tie by Chivas USA in Carson Saturday against the second place Portland Timbers combined with a Galaxy victory over the Sounders in Seattle Sunday would give LA second place in the division. That’s because Portland and the Galaxy would be tied on points (with a Timbers win), but the positional tie breaker is total wins, not goal difference and LA would have two more wins than the Timbers. The question, of course, is whether Chivas USA will show up on what is fan appreciation night. And, by the way, who will show up for Seattle, too, given that the club is showing signs of buckling under the pressure heaped upon them by fans and the considerable investment of their ownership group. Meanwhile, the Galaxy are in Central America preparing for tonight’s group finale in the CONCACAF Champions League with their continued participation in the tournament already assured. Despite coach Bruce Arena’s protestations earlier in the week about the timing of the game, the contest might actually help the Galaxy’s MLS playoff cause in one respect by giving returning defender A.J. DeLaGarza valuable minutes before the playoffs begin, while keeping suspended midfielder Juninho fresh for much the same reason. Finally, Galaxy fans should take a moment to click on the following link to give former defender Chris Albright his fair due as he bids farewell to the game. Albright was always a quiet locker room leader who knew how to set an example on and off the field. Quite simply one of the classiest and most articulate spokesman for the sport I have ever had the pleasure to interview, I’m guessing we haven’t heard the last of him in a coaching or some other capacity in MLS. 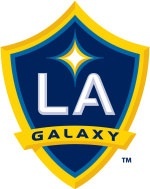 The LA Galaxy have more on the line tonight in Sandy, Utah than local rivals and visitors Chivas USA do against Western Conference title contenders Real Salt Lake. While the Galaxy’s desultory 0-0 tie against San Jose Sunday gave them a playoff berth, a shock Chivas USA win — or even tie — would leave the Galaxy in with an outside chance of winning the very tight Western Conference if other results go their way. Of course, RSL have plenty of motivation, too, but they will meet a team with players who know their careers are in potential jeopardy given the club’s ghastly season that long ago ran its course. Notable: Influential Ecuadorian midfielder Oswaldo Minda sat out Chivas USA’s last match due to yellow card accumulation and will likely return to the starting XI tonight. The game is live on Spanish-language station KWHY. Tickets go on sale at 10 a.m. Wednesday for a December friendly between the two most recent Mexican league champions at StubHub Center in Carson that’s being billed as the Los Angeles Clasico. The two Liga MX champions — the upstart Xolos of Tijuana, which won the Apertura, and Mexico City giants Club America, which took the Clausura — will meet for the first time in Southern California when they meet in a 5 p.m. Dec. 28 game, officials announced today. The contest is a pre-season friendly so the usual restrictions apply when it comes to seeing regular starters for a full 90 minutes (it won’t happen), for instance, but the game is sure to be a hot ticket for local fans. Southern California-based Mexican Americans will naturally quickly scoop up tickets, but U.S. internationals Herculez Gomez, Edgar Castillo and Joe Corona play regularly for the Xolos, broadening the appeal of the clash . Club America boasts 10 Mexican internationals on its squad. Club Tijuana Xoloitzcuintles played the Galaxy earlier this year, while Club America played Atlas in Carson last year. The Xolos have one title to their credit since their 2007 founding, Club America a league record 11. In between, the Galaxy reserves play a final meaningless CONCACAF Champions League match(live at 6 p.m. on Fox Sports 2), after already clinching a spot in the next stage of the competition.